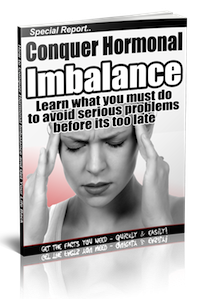 This FREE REPORT Reveals The The Symptoms Of Hormonal Imbalance, And What You Must Do Before The Condition Develops Into A More Serious Ailment! Get it Instantly Plus Qualify for a instant FREE $175 no obligation free consultation. Just Complete The Form on this page!